• Includes custom logo, background image, navigation buttons, audio prompts and music. 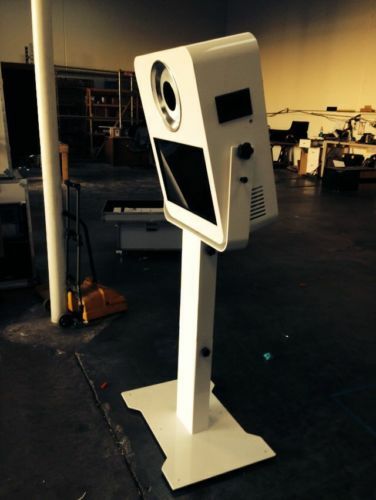 ​The T20 is a freestanding all metal aluminum frame photobooth. Not only is it elegant looking for any high end event, but it is space-saving, quick and easy to transport and set up and does not require a bulky enclosed booth to operate. 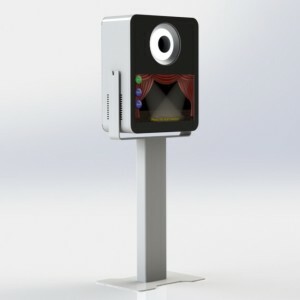 Most Photo Booths use cheap plastic Canon Rebel cameras and lenses, or worse, point-and-shoot or webcams. Operators will tell you that the cameras and optics don’t matter because the photo prints are so small, but that is simply not true. A higher end camera and lens yields a sharper, less grainy, more dynamic image. The saved photo files provided on CD can be used to make larger prints. 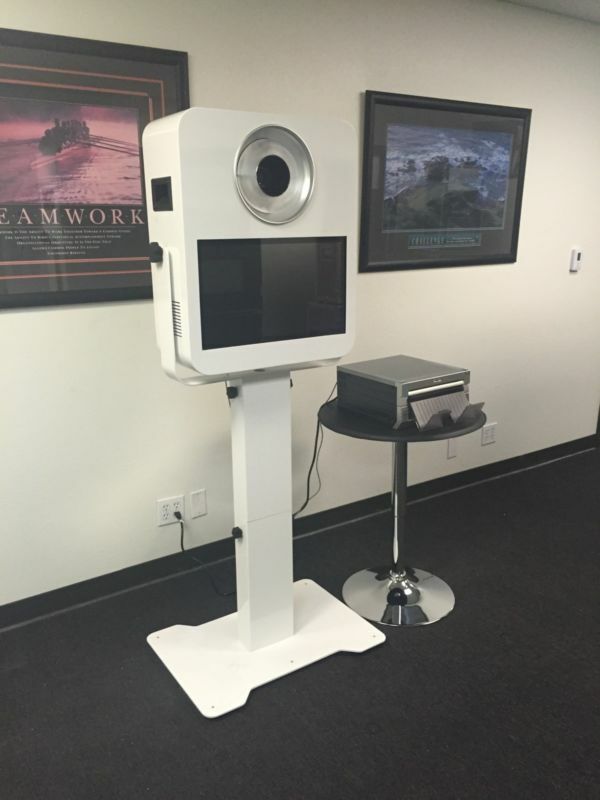 This booth utilizes a high end Canon 70d camera and high resolution professional EF lens. Professional ABR800 Ring Flash unit providing perfect shadow free lighting for large or small groups. The Photo Booth features the largest touch screen available, based on a 21.5 inch Lenovo touch screen computer. The latest and most sophisticated software allows for custom templates for printing and screens, that can talk, add music, custom buttons, custom backgrounds, graphics and text. Professional high speed printer designed for speed and image quality. 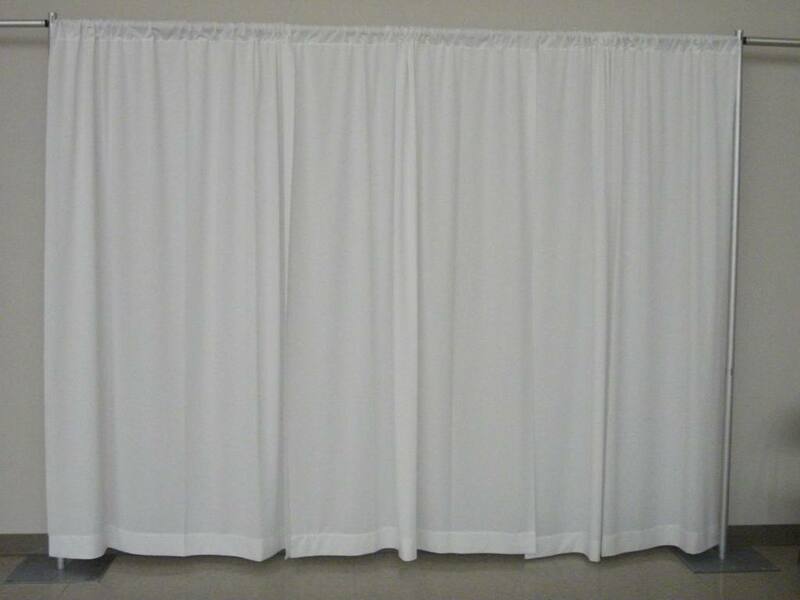 Professional adjustable backdrop included with every rental. ​ Fully insured for any venue.